Are you concerned about attracting, engaging and retaining talented women in your organization? Many companies are, and for good reason. Businesses that attract, engage, and advance women achieve higher profitability, increased productivity, and greater overall performance. But progress is slow. Too slow. 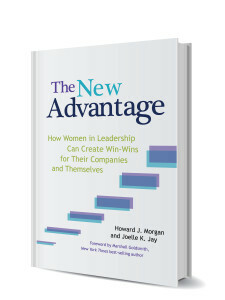 Retaining talented, high-performing women is a challenge for many organizations. Often, there’s a perceived lack of mobility for women in organizations; an invisible drop-off where women no longer progress. 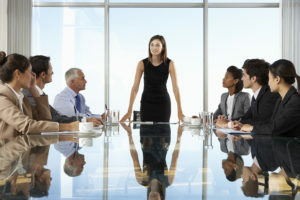 It’s difficult to hide the lack of women in senior leadership positions. Talented women become disenchanted by the harsh reality that even when an organization is committed to and focused on women’s initiatives, the culture and climate make it difficult to succeed. As a result, talented women are either choosing more attractive opportunities, or they’re half-heartedly staying where they are and a feeling like they can’t give their best. Despite the challenges, there are organizations succeeding in this area, with some of the best women in their field. As a result, they’re achieving better business results. What if your company were one of them? You can achieve higher profitability, increased productivity, and greater overall performance by leveraging the talents of women. Talented women, happy and engaged; wholeheartedly performing at their best, and improving business results for the company all at once. 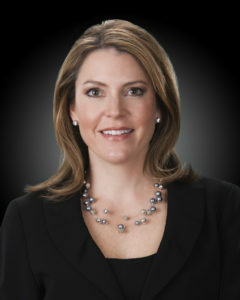 Being an employer of choice for high-achieving women. Women advancing throughout your organization and serving as role models for next generation women leaders. Equip them with strategies and practices that put the reins in their hands, increase their confidence, and show them how to succeed in your organization. Create an environment where women feel valued, respected, supported, and understood. Connect organizational goals to their individual goals, so they can invest wholeheartedly with their talents and time. Strip away the sense of sacrifice that comes with balancing work and life; show women they can achieve success without the stress. The Leadership Circles Program has been adopted by some of America’s most respected companies, including Microsoft, MetLife, and Adobe and has been recognized as a program that makes companies Best Places to Work. Our leadership development programs for top talent and women in leadership are delivered by experienced facilitators certified to deliver research-based programs that get results. 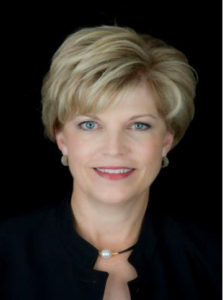 Keynote Speaker, Joelle Jay, Ph.D.
Jan Day Gravel is an executive coach and an associate consultant of Leadership Research Institute (LRI). Jan has over twenty-five years of experience in coaching people to develop their capacity to be better leaders in Fortune 500 corporations, not-for-profit organizations, and federal agencies such as the FBI. Jan has coached individuals and teams to address management issues and progress towards organizational and leadership excellence. Jan holds a Professional Coach Certification from the International Coach Federation.